This is what happens when you take a luxury car and throw in one of the most powerful engines around – you get a car that pampers you in comfort and yet can cater to your every whim. 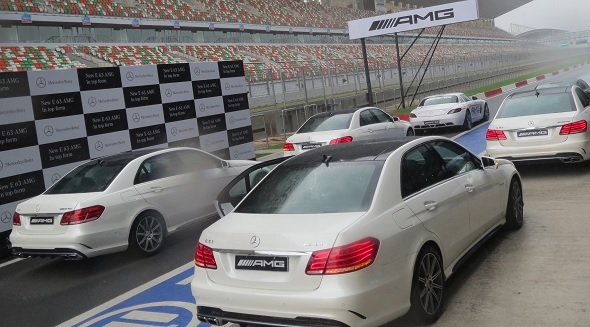 The Mercedes E63 AMG has just been launched, priced at Rs. 1.29 crore and fitted with Mercedes’ flagship 5.5 litre V8 bi-turbo engine. 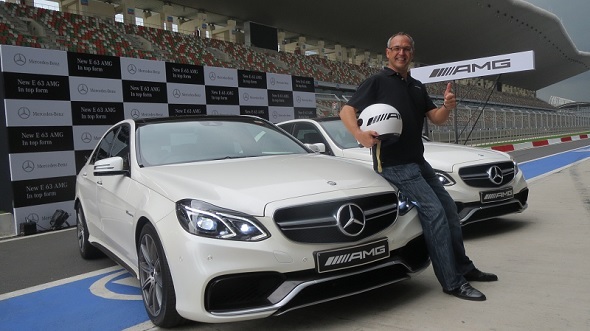 The instrument panel also gives away what’s under the hood with the AMG badging and the speedometer calibrated all the way to 320 kmph. Overall, this is a car that will cater to the enthusiast, who also wants a typical luxury sedan for weekday use and to take to the track on the weekend. Stay tuned for a full drive report of this car!